An ideal Shannon communications channel is a low-noise predictable carrier, such as an undersea fiber-optic cable delivering a coded signal, that if interpreted correctly on the other end of the channel delivers new information as surprise. 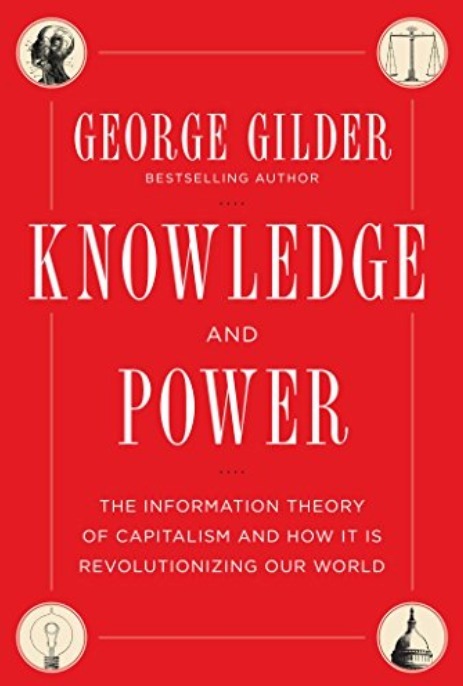 Gilder applies the idea of information surprise to economic growth, arguing that all useful economic growth is the result of human-inspired entrepreneurial surprise delivered across a government/business global low-noise channel of predictable laws, reasonable taxes, and supportive infrastructure. Gilder illustrates this by citing successful entrepreneurs like Bill Gates, or Steve Jobs, whose successes helped accelerate the information age onto the world stage. The multiplier effect of Microsoft’s desktop operating system and Apple’s Macintosh desktop computer and later iPhone, all delivered entrepreneurial surprises that helped catalyzed the world from the industrial age into the information age. These surprises were not the result of government identified requirements or consumer identified demand, but rather a world with a stable low-noise government system enabling entrepreneurs like Bill and Steve to bring surprising products to the market. In macro-economic theory, this is known as supply-side economics, because the supply of surprising new goods and services are the primary driver of economic growth, which in-turn grows human knowledge, creates jobs & wealth, and enables synergistic opportunities, such as mobile phone applications, to grow exponentially. Supply-side economics competes politically with demand-side economics which holds that the government controlled money supply (The Federal Reserve Central Bank of the United States) helps induce consumer demand, in turn multiplying economic activity and resulting job growth. Government spending during the great depression, and again following the crash of 2007, are held up as value proofs for demand-side economics. “Enforced by genetics, sexual reproduction, perspective, and experience, the most manifest characteristic of human beings is their diversity. The freer an economy is, the more this human diversity of knowledge will be manifested. By contrast, political power originates in top-down processes—governments, monopolies, regulators, and elite institutions—all attempting to quell human diversity and impose order. Thus power always seeks centralization. The history of DoD acquisition suggests that Gilder’s information economics theory can also be applied to the government/industry partnership which determines our Military’s materiel capabilities. Much of our Military’s greatness can be attributed to past successful surprises like nuclear powered submarines, F-117 stealth jet-fighters, and precision guided munitions, just to name a few. The same low-noise acquisition channel, and resulting entrepreneurial surprise are applicable and easily traced back through DoD’s acquisition history. Following World War II, early post-war acquisition successes revolutionized our Nation’s military capability. 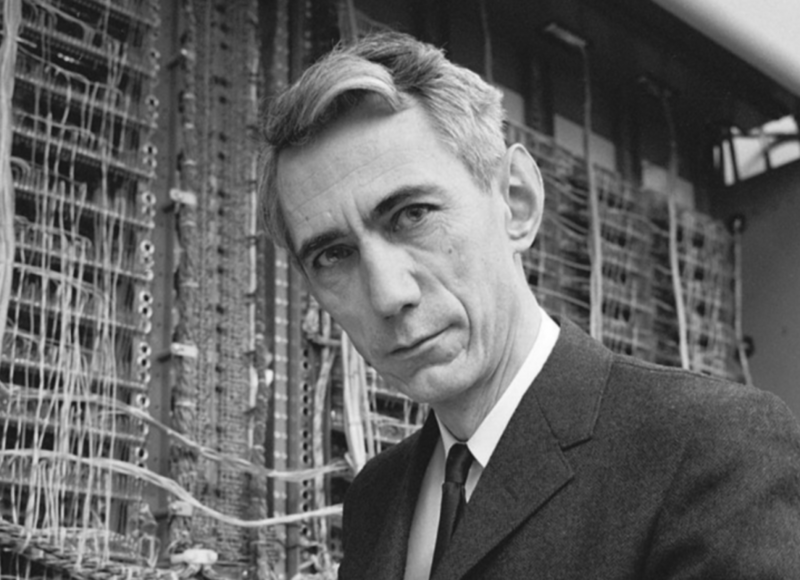 For example, Admiral Hyman Rickover led the development and demonstration of a pressurized steam nuclear reactor capable of powering a submarine, and went on to lead the development of the world’s first nuclear submarine, the USS Nautilus. 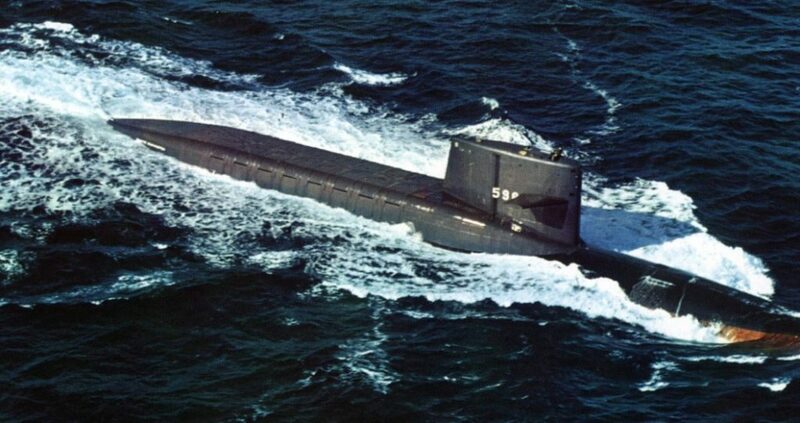 All of that took place between 1947 and 1954 when the USS Nautilus, powered by that nuclear reactor plant, was launched 2 1/2 years after ship contract award. Or consider Admiral “Red” Raborn who led the development of the associated Polaris Submarine Launched Ballistic Missile (SLBM). 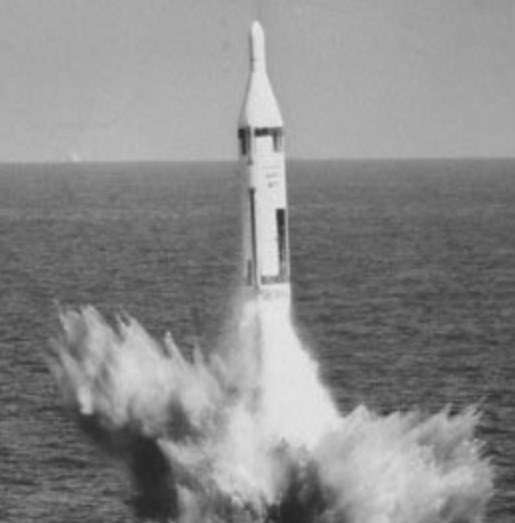 That development began in 1956 and four years later the world’s first SLBM was demonstrated in 1960, fired from the world’s first ballistic missile submarine, USS George Washington. That submarine was put on contract in December of 1957 and launched in June of 1959, just 18 months later! Lastly consider Admiral Wayne Meyer‘s entrepreneurial achievements. In 1970 he was assigned as the Program Manager of the newly formed AEGIS shipboard missile defense system. Early confidence building missile intercept testing enabled him to grow the program into the ships combat weapons system and then lead the development of a new class of AEGIS guided missile ships. Prior to AEGIS, weapon systems were adapted to the ships they were installed aboard. Wayne Meyer turned that around and engineered the ship to best accommodate the combat weapons system. The lead ship of the class, USS Ticonderoga, was put under contract in 1980 and launched in 1983. Wayne Meyer led the AEGIS program office from 1970 until 1983. During that time the program never missed a milestone schedule, overran a budget, nor failed to achieve performance requirements. I was honored to report to him directly for a portion of my Naval career, and still value his leadership lessons. Equal examples can be found for the Air Force and Army in those early post WWII years. Unfortunately those 5-7 year development-to-production timelines have steadily crept upward until today we are experiencing 20+ year development-to-production timelines for programs such as the F-35 Joint Strike Fighter. The most common argument for the radical rise of acquisition timelines is the complexity of new weapon systems, the need for continuous competition, and the importance of husbanding taxpayer resources. But can one really argue that the F-35 is more complex than the first nuclear powered ballistic missile submarine developed at a time when nuclear power was still a science experiment and missiles had never been launched from an undersea submarine? As a mid-level Pentagon bureaucrat during the 1990’s, I believe the past forty years have demonstrated DoD’s unintended transformation from low-noise successful acquisition processes to high-noise unsuccessful acquisition processes. That isn’t to say those early program pioneers didn’t have to navigate the government bureaucracy of their day, they did. But those program pioneers held themselves accountable and provided leadership to their offices and associated contractors in a way that inspired Navy seniors and Congress to entrust them with the funding and authority to successfully complete their programs on time. In the end, through a low-noise acquisition channel, they delivered entrepreneurial surprises that remain at the forefront of our National Security. Contrast that with today’s easily observable ineffective Defense acquisition spending, massive acquisition cost and schedule growth, and less effective military materiel! Perhaps even more significant is that today’s programs must satisfy hundreds to thousands of oversight people chartered to second guess all major program decisions. In addition, an entirely new class of defense industry has emerged as government support contractors. These companies exist just to service the high-noise program documentation and decision processes specified in the Departments “Operation of the Defense Acquisition System Instruction” (DoD Instruction 5000.02), and significantly increase the cost of all programs. An easy to measure test of this truth is the time-honored success of DARPA projects. 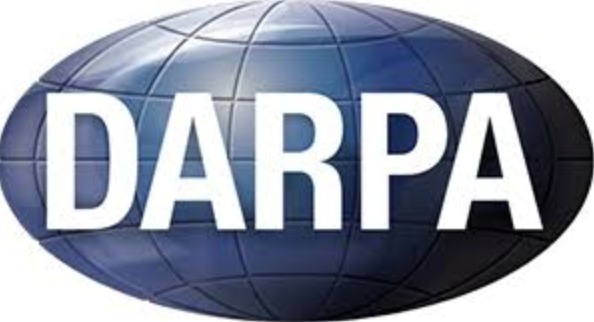 Using general requirements for improved warfare capability, DARPA has consistently delivered revolutionary National Security systems to include precision guided weapons, stealth platforms, energy weapons, artificial intelligence, the internet, etc. While most will argue that DARPA is only providing the early Science & Technology proof-of-concept for these systems, many projects have developed into full battlefield proven capabilities before adoption into a Military service for fielding and sustainment. The reason for these successes is the low-noise DARPA funding/contracting channel that enables rapid entrepreneurial surprise of new military capabilities! Part 2 of this post will provide a detailed discussion of how today’s current high-noise bureaucratic acquisition system can be transformed into a lower-noise channel to enable our Country’s Military to retain the dominance required to address today’s near-peer competition for the future of National Security! *Shannon’s invention of the term “information entropy” has been excluded from this post. The mathematics of information theory isn’t necessary to understand Gilder’s application of “information theory surprise” to the economy and DoD acquisition.